Reed Gunther #1 is Coming!!! 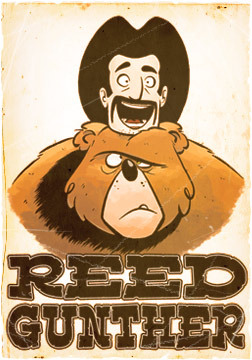 We hope you’re as excited as we are for June 1st when Reed Gunther gallops into comic shops across the nation! We’re only a week away! 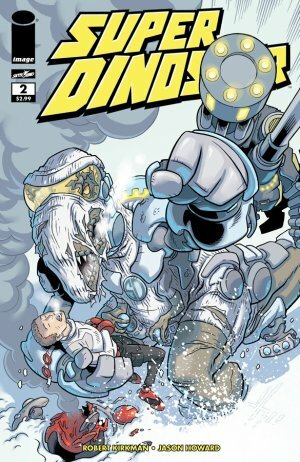 Until then, check out the 5 PAGE PREVIEW of Reed Gunther in the back of Robert Kirkman and Jason Howard’s latest SUPER DINOSAUR #2! Robert, Jason, and the fine folks at Image Comics were nice enough to give us five whole pages to show off our first colored issue! You guys rock! The always super-cool Eric from ThePullbox.com chatted with us about our move to Image and what it’s like to work with together as brothers. Check out that fun interview here! Josh Fialkov from iFanboy.com featured us in his article, “The Indie Side: Reed Gunther” and said some very flattering words about the book and talked with us about what influenced Reed Gunther and horror westerns! We’ll be chatting with lots more folks in the next few days so keep a watch out on our Facebook page for all the latest news. We’ll also be appearing at a bunch of comic shops in the next week or two, so if you’re in the Southern California area, be sure to swing by and say hi! Check out the side bar on the left for all our current appearances. 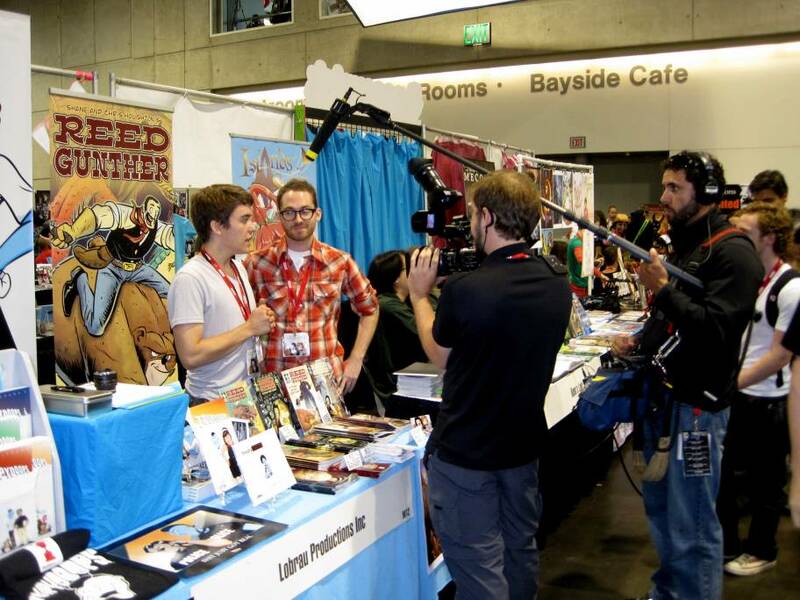 Spare Time and Comic Bug Signing! REED GUNTHER #1 comes out TOMORROW (June 1st)! Hot dog, we’re excited! Chris and I will be appearing at The Comic Bug in Manhattan Beach tomorrow from 5-8 PM! You should come out and say hey! If you’d like to RSVP to the Facebook event, click here. To see info on all our current appearances, click here. Hope everyone is excited for tomorrow!